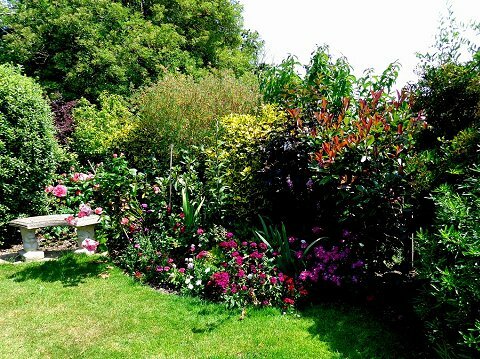 A good number of gardens will be open to the public in our beautiful hamstone village. There is also a beautiful 13th century church in the village, a very nice pub, the Crown and Victoria, and a National Trust property, Tintinhull Gardens. We have a stunning new Village Hall opened in January 2018 where we will be serving refreshments, home made cakes and light lunches from 9.30am to 5.30pm. Sorry - no dogs in the gardens please (assistance dogs excepted). All the proceeds will be used for the benefit of Tintinhull Village. There will be a plant stall at the Village Hall. Adults £5.00, accompanied under 18s free. Tickets on the day from Tintinhull Village Hall. Just off the A303 east of the Cartgate roundabout.